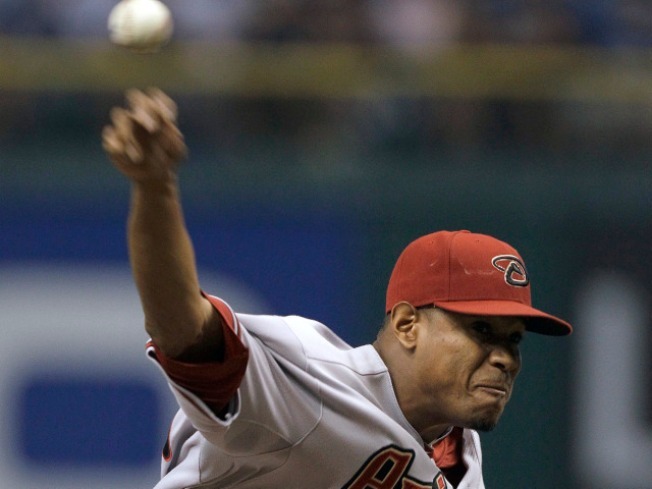 Edwin Jackson pitched a no-hitter on Friday. The year of the pitcher continued in Major League Baseball on Friday night, as Arizona Diamondbacks hurler Edwin Jackson threw a no-hitter against the Tampa Bay Rays in a 1-0 victory. Jackson threw 68 pitches in the first three innings and ended up walking eight batters. Nonetheless, he ended up tossing the fourth no-hitter this season, two of which were perfect games. Roy Halladay of the Phillies and Dallas Braden of the Athletics have each thrown a perfect game this season, while Ubaldo Jimenez of the Rockies threw a no-hitter. Also, Armando Galarraga of the Detroit Tigers lost a perfect game when umpire Jim Joyce mistakenly called the runner safe at first base on what would have been the final out of the game.